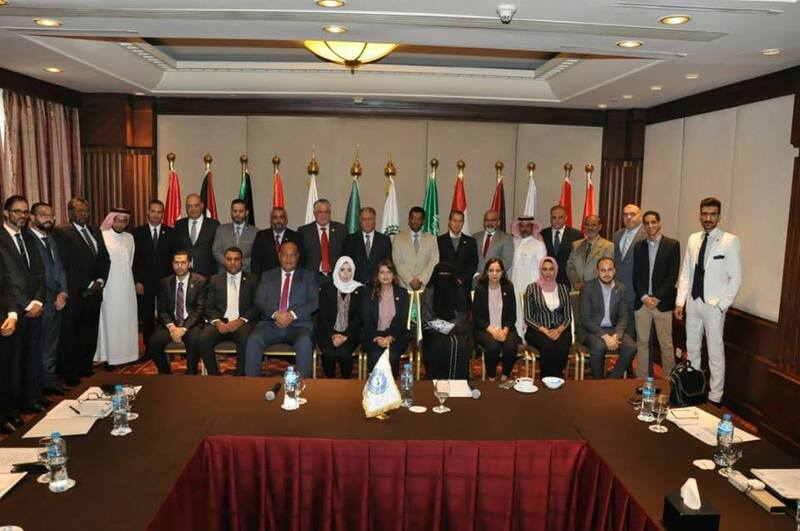 The meeting of the 2nd General Assembly of the Arab union for customs trustee was held on Thursday, October 11, 2018 at the Cleopatra Hall, Conrad Hotel, in the presence of Ambassador Mohamed Mohamed Al Rabea, Secretary General of the Council of Economic Unity, and the members: Mamdouh Al-Refae, Taha Al-Geleasy, deputy from Yemen, Naja Elyas, Lebanon representative, Saadon Al-Hussainy, the representative of the State of Kuwait, Mr. Abdul Ghaffar al-Bastaki, "representative of the State of Bahrain", Mr. Abdul-Ghafar Al-Bastaki, "representative of the State of Bahrain"; Reza Al-Hajj "Representative of the Arab Republic of Egypt"; Dr. Jaber Abu Halafaya " customs Legal Counsel"
Members of the General Assembly of the Union (Tayseer Al-Khudari from Jordan, Shadioshar from Lebanon, Abdallah Al-Moussali from Lebanon, Abdullah Al-Twaijri, Saudi Arabia, Zuhair Abdullah, fromSudan, Abdullah Fawaz from Saudi Arabia and Mohammed Yahya from Egypt. The Ambassador then spoke about the strength of the Union and its importance among the Arab customs institutions and the steps of success that he was taken despite the difficulties facing it and its ability to realize this great achievement and the efforts exerted to communicate with the various Arab countries and WCO, the matter contributes to the realization of objectives. He also thanked the doctor for this effort and for the growth and prosperity of Arab economic integration in addition to the magazine of the Union, which deals with various customs affairs, various governmental and private sectors and contributes to the education of the Arab citizens and must be distributed at the level of the Arab world and stressed its support for the Union and that it supports such relationships. Dr. Mamdouh Rifai thanked the Ambassador for his speech and gave a presentation on the Union and its activities during the period from December 2017 to October 2018, which dealt with the agreements signed between the Union and other relevant parties; in addition to the meetings held. He also discussed the timing of the meeting of the 51st session of the specialized Arab quality union in Kenya. Here, the ambassador went on to note that this meeting contributes to the transition of the Union and the establishment of an economic base and initiate enterprises with Africa. 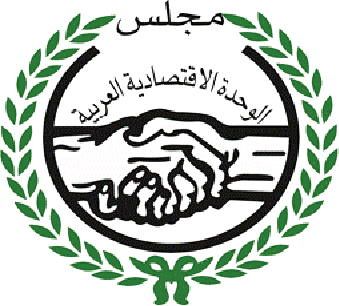 This in addition to the preparation of training programs which was one of the most important objectives of the union and provide a certificate approved by the Union and the customs the project of the Arab electronic portal to link all Arab countries in terms of information exchange, the Arab Academy for Customs Sciences accredited by the book house and the Ministry of Culture, discussing the documentary film prepared by the Union aiming at spreading awareness in the commercial fraud, customs evasion and parallel economy, and to highlight all the accidents and disasters caused by the commercial fraud , in addition, the meetings will be held with the health organization, consumer protection, customs authority, specifications and standards and all Tto the relevant parties, to become a film directed to all Arab countries. The idea of ? ?opening branches of the Union in Arab countries and increasing the number of affiliates was also discussed and suggested that the approval of the Council of Economic Unity on this matter has been obtained and will be in process. In response to all these suggestions, Dr. Mamdouh Rifai stressed the importance of these proposed ideas, pointing out that training can now be started in some Arab countries. For the trustee, the privileges he will receive will make him available for such courses. At the end of the meeting, Dr. stressed that our goal is the trustee and his profession, and finally he presented greetings and thanks to all attendees.